After recognizing the story and struggles of Anand Kumar who made his non-profit organization Super 30 a Brand, now Bollywood is coming with a new biopic drama film named as ‘Super 30’ which will be about the struggles and difficulties Anand faced in making his organization Super 30 worldwide. Well, Super 30 is a non-profit organization which claims to provide completely free coaching for IIT-JEE to 30 economically poor students every year. The organization which was founded by mathematician Anand Kumar holds an entrance test every year and chooses the poor students to provide them with free coaching along with the study materials, food and lodging. 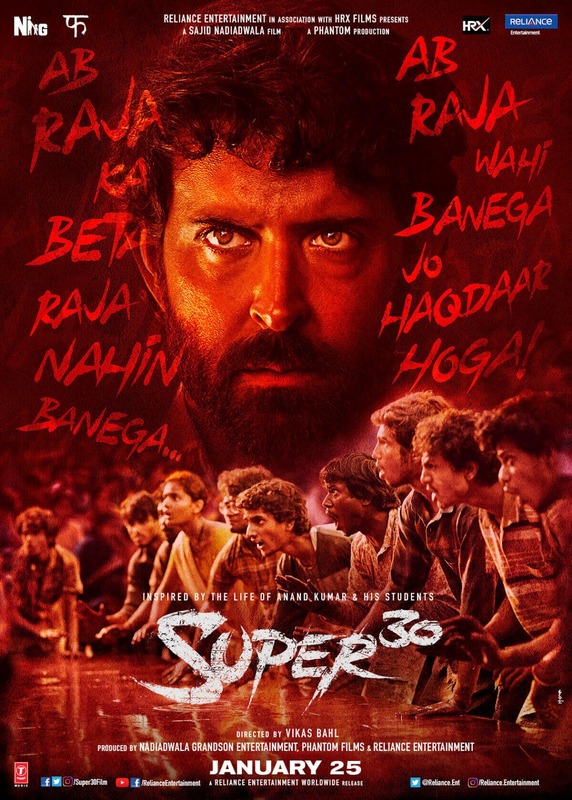 Super 30 (film) has been co-produced and directed by Vikas Bahl who is quite famous for his films like Queen and Chillar Party. The film features Hrithik Roshan as the founder of Super30 Anand Kumar. The film has been produced by Nadiadwala Grandson Entertainment, Reliance Entertainment, Anurag Kashyap, Vikramaditya Motwane, Madhu Mantena and the director Vikas Bahl himself. The official photography for the film had begun in February 2018 and was scheduled to release at the end of 2018 itself. The poster of the movie has also been released already and Hrithik Roshan has somehow managed to look similar like Anand Kumar. I have attached the very first poster of the Super 30 movie. There are a few more posters/images has been released which I will be attaching below. Earlier, the movie was scheduled to be released in November 2018 but after several delays, it has been rescheduled to be released on January 25, 2019. The upcoming movie of Kangna Ranaut is also scheduled to be released on the 25th January 2019. 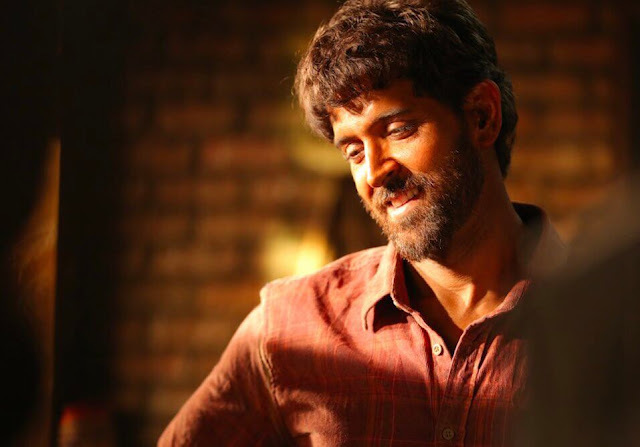 So, there might be further delay in the release date of the Super 30 but it is yet to be confirmed. 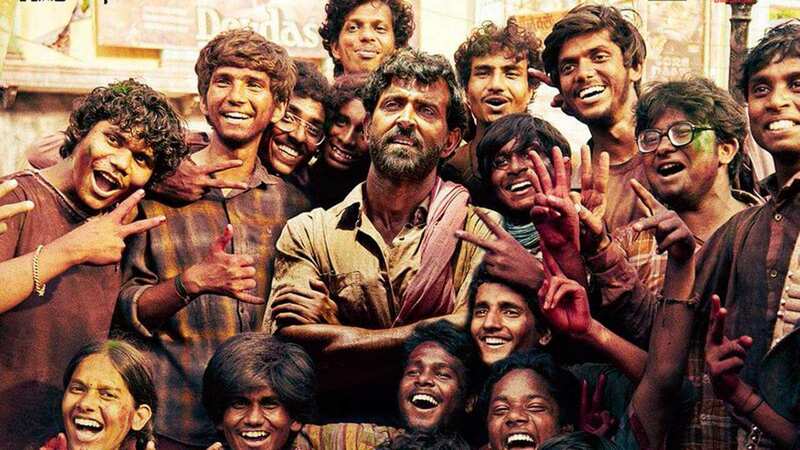 Recently, an ex-student of Super 30 has accused Anand Kumar of fraud results and said that Kumar is using false result data in order to gain popularity. However, many people have come in the support and said that there is a propaganda being run in order to defame Kumar’s reputation. After all this accusation game, the makers of the film has decided to not call the film a biopic anymore. There must be hundreds of people working in the film but I have listed a few casts in lead roles. Trailer for the movie has not been released yet but, since it is being released in January 2019, the trailer must be on the way to be released. I will be updating here, in this post, once the trailer gets released.